NOOOOOOOOOOOOOOOOOOO!! Colin, how can you do this to us – I mean, the kids?!?!?! The final Floods???!!!!! Arggghhhh!! And sob, sniffle, slime trails and all that. 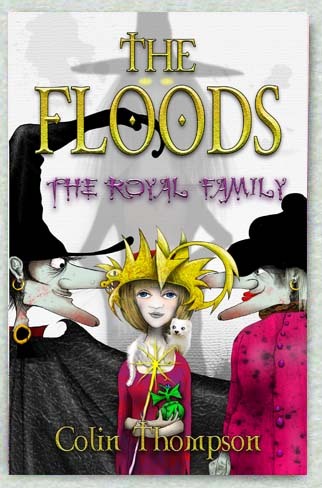 Ok, huge breath…..The Royal Family is #13 in The Floods series – and the final episode. King Nerlin, that lovable and rather docile ruler, is quite fed up with being in charge of Transylvania Waters and is dreaming of a sweet little cottage in Enchanted Valley with a real garden and real chickens (as opposed to magical ditto). Mordonna, his only occasionally charming spouse, is disposed to agree but there is an insurmountable problem. None of their children want the job of ruling the kingdom it seems. Just when the pair devises a sensible plan to ease the children into semblance of responsible trial ruling – that is, alternatively leaving a child in charge while the monarchs weekend at the cottage – a complication arises…literally. From the dank and odorous drains under the royal city, from whence the royal family arose, following the deposition of loathsome King Qautorze, now arises Gertrude who just happens to be Nerlin’s older sister. 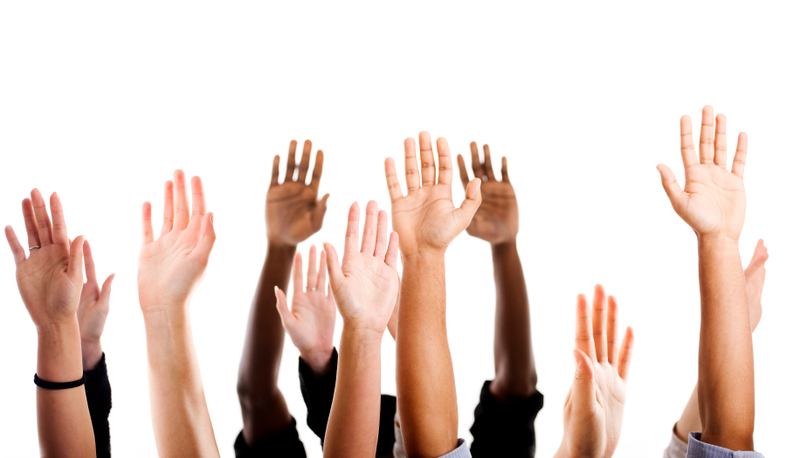 And we all know what that means – Gertrude is the rightful ruler!! As one might expect, the youngest royal child Betty, ‘a right little madam’ according to Mordonna, secretly wants the throne herself – and by chance, is the first to encounter Gertrude. Amid the usual hilarity, diabolically hilarious scheming, somewhat dubious magic and quirky characters, the kingdom’s future is resolved eventually to the satisfaction of all. While Floods devotees will no doubt feel the pain of knowing that 13 is indeed the magic number in this case, they will revel in the last chapter of what has been a phenomenon in all my libraries. Highly recommended for anyone over 10 years old – with a sense of humour. 32 pp. Hardcover picture book. About twenty-five years ago, Gary Crew was my oldest daughter’s drama teacher. My middle daughter was great mates with Gary’s son, as they were mischief makers in the same primary class. When Gary’s first novel was published within 18 months of that time, I naturally was interested and intrigued to read it. I have been an avid reader of Gary’s work ever since and have enjoyed many of his presentations at conferences or local news interviews over the years. There is no doubt at all that Gary’s novels are powerful and compelling but in my opinion it is his own passion for illustrated books that give even more impact to his ‘picture books’. 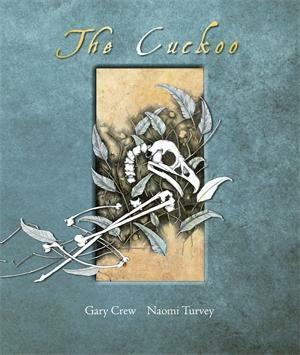 The Cuckoo is somewhat dark – even bleak- but explores themes all too common and pertinent. Bullying, neglected and abused children, forgiveness, independence and self-belief are among analogies that can be drawn from this text. It has an almost mythical quality to it and is well enhanced by Turvey’s exquisite illustrations which are both detailed and haunting. Martin is the singular central character. Without a mother, tormented by a overbearing father and two brothers, Martin looks to the forest for solace and the small creatures he befriends become part of his salvation and strength. The ideas of both sacrifice and forgiveness are predominant in Martin’s eventual triumph. An intriguing and multi-layered book, this is recommended for older children for whom it could be a provocation for many philosophical conversations. When you pick up a book and the high speed, edge-of-your-seat action starts within the first few sentences, you know you are on the edge of a breakneck journey that will keep you glued to the pages. 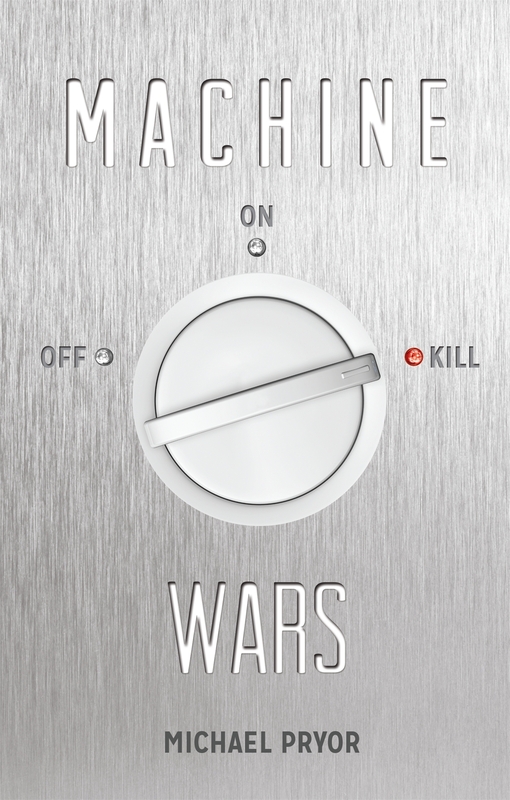 Michael Pryor’s new novel Machine Wars, explores the scary side of Artificial Intelligence (AI) and those who have seen movies on this theme will know just how scary it can become. Utilising SciFi ideas around technology which is already becoming a reality, Pryor’s main character is 14 year old Bram, a young man who has a very unusual family. His father is an environmental scientist of some kind and his mother is at the cutting edge of AI research and development. Bram has grown up living in many places and consequently with few friends but always with a contingency “Scatter and Hide” plan. Bram’s mother Anita has prepared her family well in the event of one of her AI creations turning rogue. And suddenly that day has arrived. Bram arrives home unsuspectingly after school and band practice and is almost terminated by ‘junkbots’ who have invaded his home and indeed, blow it up. As he quickly goes into the ‘Scatter and Hide’ mode, he is on his own – his dad away on an expedition, his mother gone into her refuge to try and stop this new evil of her own creation. His mother has prepared for every foreseeable eventuality and with Bram’s hidden emergency kit is his old toy Bob the duck – now a sassy and spookily smart AI guide and mentor. Prepared to buy his mother time with only Bob to help him, Bram unwittingly involves an acquaintance from his new school, Stella, in his deadly mission. Having gravitated to each other due to their respective oddities, the pair become worthy opponents of the AI mastermind Ahriman. Three weeks of dodging CCV systems, internet stalking, overhead drones and copters, junkbots, dangerous home appliances and killer heavy machinery bring Bram and Stella closer together and enables them to fully realise latent skills and talents which take the battle to the enemy. With plenty of furious action, techno gizmos and a relatively undemanding vocabulary, this will be perfect for reluctant readers. Boys (particularly) from 10 to 15 will love this exciting and thrilling modern day adventure. 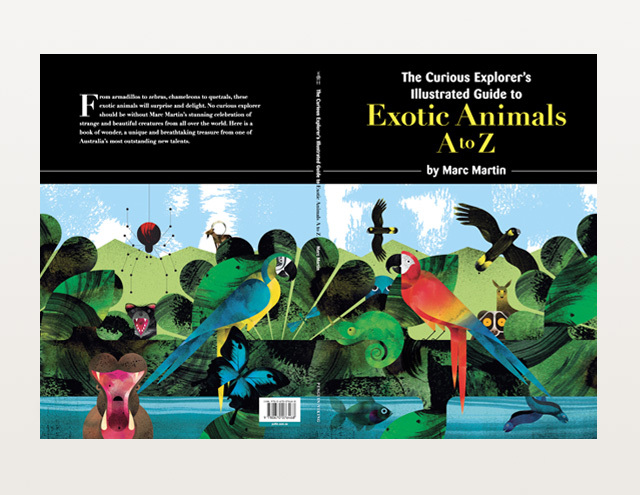 The Curious Explorer’s Illustrated Guide to Exotic Animals is a visual feast – a riot of vivid and rich colour, an explosion of dynamic and intriguing shapes. It is a rare child who is not fascinated by animals – I know that in my family this is particularly true. Moreover, they love to find out more about them. This glorious book takes children into a journey around the world of both knowledge and beauty, through the author’s own wonder at the nature around us. Alphabet book, field guide, work of art – the youngest of readers will love the vibrant illustrations, older ones exploring their letters and sounds will enjoy the familiar and unfamiliar animals offered for each and children moving into independent reading will relish exploring the facts and trying to pronounce the scientific names. As one of the projects from this movement Cycling to Grandma’s House has been written to provide young girls with a dialogue about approaching menarche and its significance for all girls, not matter what their culture or geographical location. Luna is charged with a school project to discuss ‘the most incredible characteristic’ of being a girl. Her mother suggests that she ask her Mexican grandmother about the celebration of a girl’s coming-of-age in their culture. On her way to her grandmother’s house, Luna speaks with many of her friends who hail from many different cultures and find out that the menarche is indeed a special moment for all girls. Whether from Japan or Papua New Guinea, whether Ghanaian or Indigenous Australian this rite of passage is a significant milestone in many of the diverse cultures which surround her and her friends are happy to contribute their stories. Written in a simple and sensitive way, this book is a perfect addition to school HRE programs as well as home bookshelves, de-mystifying and removing the embarrassment that many girls have endured over the years – this one included. We know that the way forward for women and girls at this point in history is empowerment. This little book goes a long way to educating and arming young women as they blossom into their womanhood. In 2014 we begin the commemorations of the ANZAC centenary and reflect on the sacrifices, the heroism, the determination and the fortitude of our men and women of valour, both past and present. Several new books have been published which will add depth and understanding for young people. Tank Boys, written by one of Australian’s most noted historians is set to not only engage your boy readers from 12 up but provide them with real insight into the conflict of World War 1. 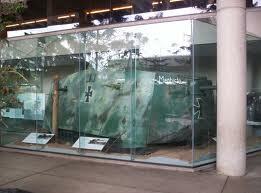 There will certainly be many Queensland boys who have seen the German tank, Mephisto, on display at the Queensland Museum Southbank. In Tank Boys, the story of the first tank battle in military history and the subsequent capture of Mephisto by Australian troops is told through the eyes of Frankie, Taz and Richard – all boy soldiers though on opposing sides. The history of boy soldiers in conflict has been well documented and the First World War was no exception. Frankie and Taz are two young Australians who, like many others, thought joining up would be a huge adventure. 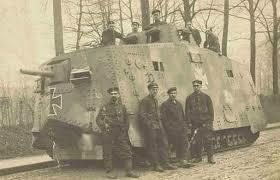 Richard is German and finds himself inside the lumbering giant tank as it heads to the battle lines at Villers-Bretonneux, France. All three are just sixteen years old and discover that the reality of war and its horrors is far from their preconceived notions of gallant action and patriotic pride. Expertly weaving fact with fiction, Dando-Collins has created a fascinating story in which the paralleled perspectives of these boys who are ‘enemies’ offer readers pause for reflection and the chance to critically discuss different viewpoints behind the conflict. Themes of friendship, courage and empathy as well as the tense descriptions of one of the most decisive battles of the war make for a gripping tale which will engage young readers, especially boys. A fact section which gives readers more detail and relates the author’s inspiration for writing the story lends to the substance of the novel. Highly recommended for readers 12 plus – particularly boys. 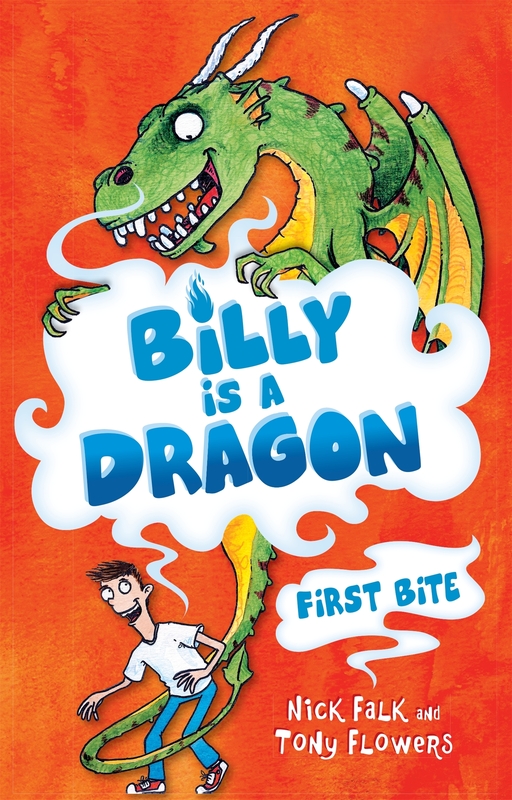 Following their great success with the Saurus Street series, Falk and Flowers have again teamed up with this new series about nine year old Billy Fincher. Billy is pretty much your average boy who loves his bulldog Bertha and has problems with the school bully. That is, until, he is bitten by lizard at the local shop and suddenly finds strange things start happening. While being a dragon certainly has its advantages, particularly when it comes to giving the school bully his come-uppance, Billy finds it’s not all plain sailing (flying?) being so different. To start with, his parents are none too happy about having a fire-breathing dragon for a son and think he should he be put in a zoo. Miss Small, who as it happens, is a nine year old dragon devotee, with a nine year old boyfriend called Billy – was poised on the edge of her seat clamouring for more after the first couple of pages read aloud. Following the same appealing format as the Saurus Street series, these are fabulous for newly independent readers with quirky fonts to emphasise onomatopoeias and whacky drawings to accompany the text. Girls and boys alike will thoroughly enjoy Billy’s adventures as he deals with shapeshifting lessons, werewolves, hungry teachers and more. 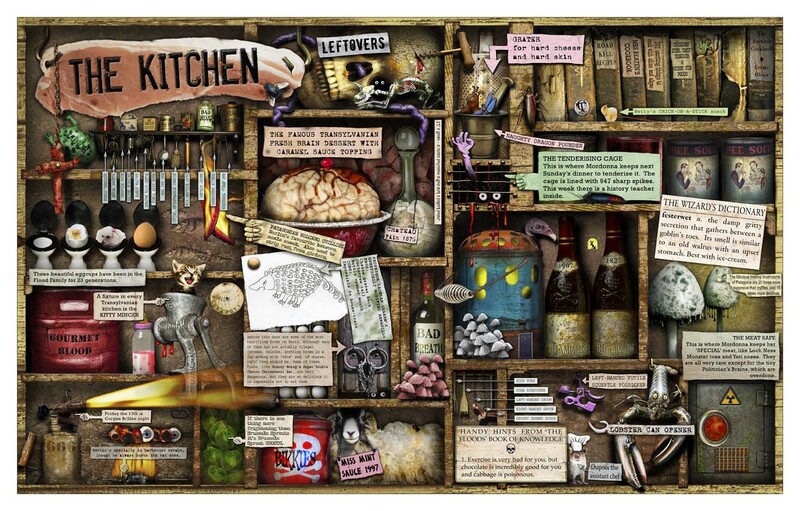 Look out for more to come – these ones will be hugely popular with the 7 and up readers. When I was little and we went on family Sunday drives and picnics, as one did back in those days, out of the city and into the bush, I was always – but always – looking for the bush babies playing amongst the gum trees and staying a very safe distance from the banksia trees. The magic of the gumnut babies is back with the ‘story play’ concept developed by Fiona Whyte & Sarah Hill. If you stay very, very still, are very, very quiet and look closely enough, you might just meet a Beetle Bottom in your garden. Mother and daughter team, Fiona and Sarah, have created the Beetle Bottoms – tiny folk, no bigger than an apple pip, who live, play and have adventures in gardens all over the world. “Where is Pip?” is a delightful and sturdy lift-the-flap book which will entrance your tinies as Petal looks for her little sister, Pip. As Petal asks the question each time – the flap reveals another wee Beetle Bottom who has seen Pip, providing a clue as to what she has been busy doing all morning. Bold and simple illustrations with simple text make this a perfect choice for the very young – the kind of book that begs to be read to a small person sitting on your lap. 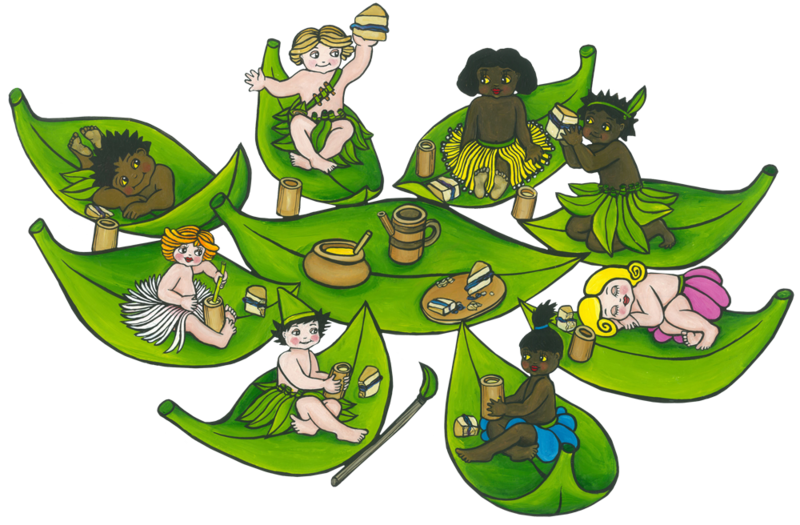 The Beetle Bottoms website is a treasure trove of activities and play ideas that help you ignite the imagination of the little people in your life. “Beetle Bottoms are very special because they celebrate and enjoy everyone’s differences, after all that is what makes life exciting! With a gentle and ‘feel good’ spirit in a very simple, almost naive style, the Beetle Bottoms are sure to become favourites amongst, particularly, the under 5 set.